Frequent hunger is a sign that you are not feeling satisfied and are therefore not getting adequate nutritional requirements out of meals. The result is that you must supplement with something in addition to what you have already eaten. Because most people lack the time (and often the desire) to prepare something healthful, what ends up being eaten are foods with little to no nutritional value. Frequent eating helps to promote cravings in the body. Many people feed their cravings with unhealthy choices such as convenience foods or processed snacks loaded with hydrogenated, rancid oils and fats, refined sugars, and white flours. Eating these foods regularly can cause weight gain, irritability, fatigue, and headaches which lead to many other health disorders such as heart disease, auto-immune problems, Diabetes, high-blood pressure, and cancer. When the body has not completed the digestive process, it cannot fully perform the task at hand to handle additional food coming in. This sets the stage for digestive and metabolic problems. Incoming food only gets partially-digested. As a result, the first batch of food in the digestive process begins to rot and becomes a source of toxins to the body. Eating off-schedule from regular meals times also greatly disturbs the natural biorhythms of the body. Because the body performs certain functions on a time schedule, irregular eating habits disrupt the natural clock-work of bodily processes. For instance, the largest meal of the day should be consumed at lunchtime. If your largest meals are eaten during breakfast or dinner, this can alter your body’s regular schedule of digestion and toxin removal and cause issues. Similarly, if you eat meals late at night, you disrupt a major toxin dump which normally occurs between 11 p.m. and 1 a.m. This allows unflushed toxins to remain in the body, causing health issues. Late-night eating interrupts this cleansing process performed by the liver. To allow this process to occur, meals should be eaten no later than 7 p.m. When you feel the urge to eat between meals, it can often be a sign of dehydration. When you feel hungry between meals, try drinking 8 or more ounces of filtered water and wait ten or fifteen minutes. If you still feel hungry, carefully consider the choices you make for a snack. If you feel the need to eat something sweet, try a piece of fruit instead of a processed, sugary product such as a muffin, cookie, or pastry. The best way to avoid the temptation of eating foods that are unhealthy in the first place is to remove those items from your home. Don’t purchase processed foods. Stick to real, whole and traditionally- prepared foods: this includes organic meats, poultry, game animals, and dairy products that chemical, and hormone/antibiotic-free, organic fruits and vegetables that are pesticide/herbicide-free, real oils and fats like butter, tallow, lard, olive oil, palm oil, and coconut oils, and whole grains, legumes, nuts, seeds, and rice (all soaked or sprouted). Read labels and become educated about what is healthy to eat. If a food is conventionally-produced or has anything added to it, it is likely not a healthy choice for consumption. Make your biggest meal of the day at lunch time. The body is designed to handle the largest intake of food at mid-day. Avoid eating larger meals at breakfast (when the body is just getting going) or dinner (when the body is starting to wind down for the day). If you do get the urge for a snack, remember your body needs something substantive. Eat foods like organic fresh fruits and vegetables, raw cheeses and nuts, sprouted grain breads with real butter or raw almond butter, raw milk or yogurt made from raw milk and organic fruit for smoothies, cut-up leftover organic meats and poultry, freshly juiced fruits and vegetables (stick to greens and low glycemic fruits such as berries, while avoiding carrots and beets which have high sugar content for juicing) with olive oil or coconut oil added for necessary fats that will keep you from becoming hungry again soon. Use a bit of raw honey or Stevia for added sweetness if desired. When you start focusing on getting more nutrition out of meals and eating real, whole foods, you will find that your in-between meal eating will become less and less over time. This is because your body will receive the nutrition it needs from the meals you eat. You should notice an improved sense of well-being and more energy from picking up good eating habits while discarding those which can cause your health to be less than optimal. If you find yourself still needing snacks in between meals, make healthier choices about those foods and give your body the substance and nutrition it needs with real food. This article is part of Food Renegade’s Fight Back Fridays Carnival. 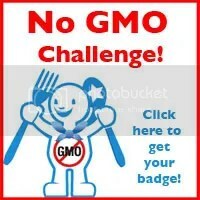 Please visit this site and read the other real food posts listed there. Want Your Politicians to Listen? Write a Letter About the Food System and Health Care Reform! I wrote this letter to my state senator, Mike Crapo today. I’m urgently concerned about the state of our health care and the food system – which are intrinsically tied together. Feel free to cut and paste this letter and send it on to your local congressperson or legislative representative. I’ve written over a dozen letters to senators, congresspeople, and The President about our health care system, prevention being a priority (with coverage for preventative services as well as emphasis on education about the proper prevention such as real nutrition), and the food system being directly tied to our health care system reform. Please make the effort and reach out to the political decision-makers in your local area and to those in Washington. Only the people can make a difference! Thank you for taking the time to respond to my phone call and concerns. I am generally less interested in more government layers and regulations about food than I am accountability and responsibility on the level of taking care of the problems in food where the problems begin – at the point of origin, which is the facilities and practices themselves surrounding the growth, distribution, and sales of food products. I’m interested in H.R. 2749 as a method of furthering the work needed to be done to clean up our food systems. It is a well-known fact that much of our food originates from the conventional sector (agribusiness) where the most abhorrent conditions for food production and growth prevail. I want to see regulation directed at the practices and methods of how we grow our food and changes made from industrialization to sustainability. When I say this, I specifically mean that laws be passed which stop the feeding of genetically-modified substances to cattle, hogs, sheep, chickens, turkeys, and other livestock or fowl used for food. I also want to see a return to natural farming methods (a return to pasture-raising) – from feeding animals grain, soy, and corn (all unnatural and genetically-modified). Why not use H.R. 2749 for this purpose – to require the banning of harmful, toxic substances from our meats, poultry, produce, and other foods such as hormones, antibiotics, pesticides, and other toxins which reduce the nutritional value of food and inherently cause harm to human health/animal health/the environment? These issues are tied heavily into our health care system, and without attention paid to our food supply and the safety of its management, we will continue to contribute to the depth of which this nation is under strain from rising health care costs and burdens to our health care system. When we make preventative measures with food a priority, we will improve the condition for the health of every citizen in this country – our nation, of which we should not only be proud, but be protective and watchful. Being protective means doing the right thing to achieve the correct result – not by going in and adding more analysis of a system that is already in grave jeopardy due to the mismanagement of its processes. A big component of our food safety plan, then, would certainly include an overhaul of current practices in farming methods, to change the root cause of why we are seeing so many food safety problems in the first place. That’s the only way any of this will make sense. Time and time again we have seen the results (E.coli and salmonella poisioning) of industrial methods of farming (grain, soy, and wheat feed) and the impact it has on the health of animals being slaughtered for food – and the subsequent negative affects it has on the humans who consume it. These are the issues I’m talking about. Until we make fundamental changes in the methods we use to grow and distribute food, we will continue to see food safety issues cropping up more and more, as with the tomatoes (watered with runoff from factory farms, where they handle animals in this way, which causes salmonella and E. coli to enter fruit and vegetable systems and poison those who eat it). This is where the change needs to occur. Please understand the seriousness of this matter and help the American people gain back control of their food supply, and have more sustainable, safer, more nutritious food to eat. There is plenty of evidence and research which proves this is occurring in our food system, and must be stopped! No furthering of layers and government regulations will prevent this from continuing to occur. I’m a consumer health writer and educator about sustainable issues and I’ve done the research – I know it’s there, and I’m counting on you – please don’t let me down!